Events industry figures have shared price increase fears after British Airways chief executive Willie Walsh revealed hopes for further consolidation. Walsh has identified 12 airlines as potential acquisition targets once British Airways and Iberia complete their merger this year after two years of negotiations. 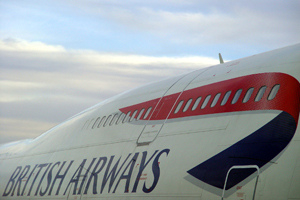 BA and Iberia will continue to operate under their existing brands but will be owned by a new holding company, based in London, called International Airlines Group. During the launch of a new long-haul aircraft in Mumbai, Walsh said the "ambition of International Airlines Group is to consolidate this industry further". CMM managing director Eamonn Hamilton said: "The concern would be competitive routes and we can only assume with less choice there is a greater propensity for cost of flights to go up on certain routes. That is obviously a negative." Motivcom divisional managing director Nigel Cooper agreed that mergers could lead to increased prices. "If competition is diminished, so too could price sensitivity," he warned. Meanwhile, Institute of Travel and Meetings chief executive Paul Tilstone said there was a recognised need for consolidation in the aviation market and that could lead to less competitive rates, but added that mergers could have potential benefits for the corporate buyers through being able to negotiate better deals with a partner. Business Visits and Events Partnership chairman Michael Hirst added: "BA has never been the best friend to the industry so the most important thing we would want to see coming out of this is recognition of the value of the business group traffic."